The last two days, every time I eat, or even sometimes if I just THINK of eating, the side of my face swells up. Apparently, it is a blocked salivary gland. probably the side effect of some medication I have to take. It doesn’t necessarily require medical attention unless it remains blocked or is a symptom of something else. It is, however, annoying, not to mention embarrassing if it happens when I am out. If it remains blocked, you risk an infection and/or surgery to remove the blockage. Thank GOD it always goes down on its own. This is what it looks like. That is the left and right sides of my face, side-by-side for comparison, You can’t even see my ear! The first time it happened, I thought I was having an allergic reaction. Since I gave up pop (specifically colas … I have had the odd citrus fizzy drink) I have found this to be my drink of choice…. My next favorite, if I can’t find OASIS, is TrueBlue Blueberry Pomegranate. However, it does have sugar added, though the sugar is half way down the list of water and juice. In regards giving up pop. I was drinking several a day, at least and after seeing the empties pile up on the side of my desk every week before I took them to the recycle bin, I realized just how much sugar I didn’t need. Since just after Christmas, 2007, I have had two Pepsis and a bout 8 Limonata, Orangina or Lemon-lime drinks. Not bad for someone who would down them like water. I now find I don’t actually LIKE the taste of Pepsi, after 40-odd years of drinking it. Luckily, when I am out and have alcohol, my drink of choice is Gin and Tonic. Ah… The games children play…. Lying to create a “pretext” in order to rationalize a state of war is a tactic with a long history. Here is an example…. “Operation Northwoods” was a set of proposals to “justify” US intervention in Cuba, at the time of the “Cuban Missile Crisis. Written in response to a request from the Chief of the Cuba Project, Col. Edward Lansdale, the Top Secret memorandum describes U.S. plans to covertly engineer various pretexts that would justify a U.S. invasion of Cuba. These proposals – part of a secret anti-Castro program known as Operation Mongoose – included staging the assassinations of Cubans living in the United States, developing a fake “Communist Cuban terror campaign in the Miami area, in other Florida cities and even in Washington,” including “sink[ing] a boatload of Cuban refugees (real or simulated),” faking a Cuban airforce attack on a civilian jetliner, and concocting a “Remember the Maine” incident by blowing up a U.S. ship in Cuban waters and then blaming the incident on Cuban sabotage. The various declassified memorandums are available on the National Security Archive, an independent non-governmental research institute and library located at The George Washington University. 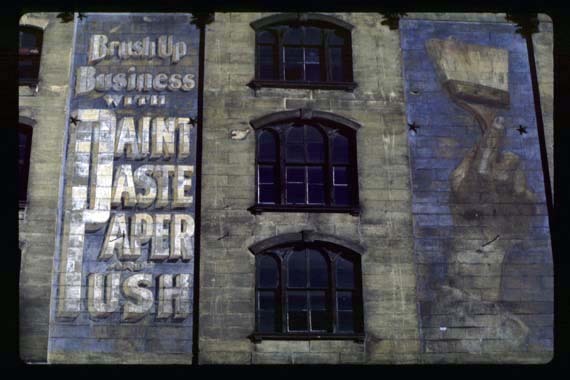 I have always been fascinated by the fading vestiges of the painted billboards. There are a few, here in Ottawa, which I have been meaning to capture before they disappear completely… Maybe this summer? Every so often I come across this site and love poring through the new additions. It is run by Frank Jump. Most of his are in the New York City environs but he also has links to other sites and collections, including his Fading Art blog. 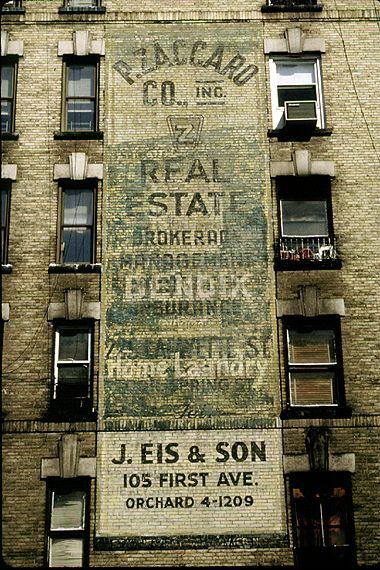 Sadly, more disappear every year, either painted over; the buildings supporting them knocked down, or, in some cases accidentally falling down; or simply fading into oblivion.